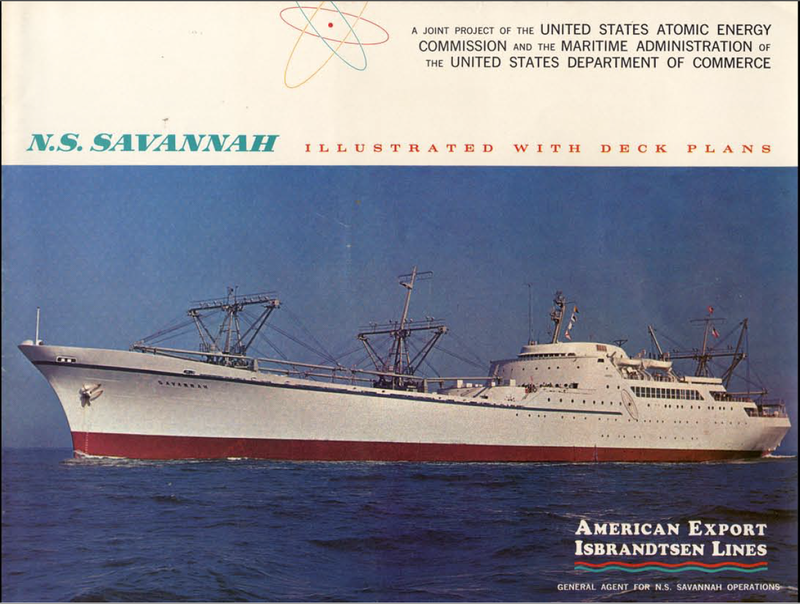 Ode to NS Savannah – Howard Boat Works, Inc.
One summer day about ten years ago I was scorching up the James river in a friend’s Donzi as part of a group run up to somewhere north of Hopewell. I wasn’t in my boat because I was having an engine rebuilt and I was thoroughly enjoying my time as a passenger watching the world go by. I can’t remember the exact destination now and as I recall didn’t much care then. It was a gorgeous day with light winds and moderate temperatures making it the sort of outing whose magic was contained not in the arriving but the going. We began to pass the Ghost Fleet which I had never seen from the water. I’d flown over it a few times but seeing it from the air wasn’t the same as seeing it from the water. The motley collection included cargo ships, troop carriers and research vessels. They looked sad and proud at the same time. We slowed down to take a longer look at one ship that looked distinctly out of place, to me at least. Her hull was rusting like the others but she was different, alright. White painted hull, and a strong, high bow section above deeply flared topsides gave way to a graceful sweeping sheerline all the way aft to a double-ender stern, an almost unspeakably graceful yet no doubt powerful looking vessel. Whoever drew this stunner didn’t stop there. The rake of her forward bridgedeck section is repeated on the forward profile of her bridge, and the stack’s aft end profile is shared by each receding deckline aft and below. What a beauty! It took me awhile to spot the fading atomic symbol painted on her topsides amidships. I thought then and now that she is one of the best looking ships I’ve ever seen. Take a few minutes to browse through this very cool website which does a fine job of documenting this gem. She produced nearly $12,000,000 in revenue, real money back then. She sailed over 450,000 miles in her five years of merchant service (1965 to 1970). She required a crew of more than 100 mariners. The Army considered using her as a power plant to be used during national emergencies. Only one of four nuclear-powered cargo ships ever built… Now that is a boat! 100 crew, 15 to run this ship (85 to run the reactor – hahaha). I would hate to see the operating costs on it today, I bet it costs $500,000 a year to just leave it docked and contained today.